1. Acknowledgement of receipt. The JEI Editorial Office will send an acknowledgement message to corresponding author upon receipt of a manuscript. The message will include an identification number assigned to the manuscript. 2. Technical review. 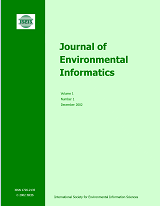 The format of the manuscript will be examined by the JEI technical editor. The manuscript will be returned for revision if it cannot meet the basic requirements stated in the Author Guidelines. 3. Editorial review. The editors will assess its appropriateness for inclusion in the journal. The manuscript may be returned for revision, or rejected if the editors believe that it does not meet basic quality requirement and/or it is out of the scope of the JEI. 4. Selection of reviewers. The manuscript will be reviewed by at least three individuals. Reviewers will be from the JEI Editorial Board and/or others invited on the grounds of their particular expertise. One of the reviewers may be chosen from the list suggested by author(s). See Review Guidelines. The reviewers send their evaluations to the editorial office. Online review form can be used. It is anticipated that the review process would take four to eight weeks. 6. Editorial decision. Editors consider the comments and judgments of peer reviewers and make a decision based on the reviewers’ reports and their own reviews of the manuscript. The corresponding author will receive a copy of the reviewer’s comments at the same time as they receive a response from the editors. 7. Revision and resubmission. If a decision of “revision” is made, author(s) will be asked to revise the article and resubmit it. For a manuscript of "Minor revisions", resubmission will only be reviewed by the editors. For a manuscript of "Major revisions", resubmission may go back to one or more of original reviewers. For the resubmission of a rejected manuscript, it may have to go through review process from beginning. 8. Production. If a decision of “accept without revision” is eventually made by the Editor-in-Chief, the technical editor will process the manuscript into publication format. A publication number is assigned to the article. The proof version is sent to authors for final corrections prior to publication. 9. Publication. The corresponding author will be asked to sign the copyright form to render copyright to JEI. The article will then be published in the journal based on the proofed copy.